All eyes will be on the Reserve Bank's perilous juggling act with the twin opposing threats of a high dollar and a heating domestic housing market when the central bank makes its latest judgement call on interest rates next Wednesday. It is a slam dunk certainty that the RBNZ will leave the Official Cash Rate unchanged at 2.5%, where it has been since March 2011. The concern for the marketplace, however, will be what the bank chooses to say about houses and the dollar. Rising house prices, particularly if combined with strong borrowing and spending, carry the threat of higher inflation. A high dollar presses down on the exporters. In layman's terms it is in something of a pickle. Raise interest rates to hose down the housing market and foreign investment money will flood into the country, pushing the dollar even higher. Leave interest rates low and potentially the public goes on a spending spree, buying up houses and forcing the prices even more upward. So, the country's economists in previewing the latest OCR decision (which is a day early due to Anzac Day) have largely focused on the dollar vs housing dilemma. ASB senior economist Jane Turner and economist Christina Leung say the "key tension" between the houses and the dollar the RBNZ faced when it made its OCR decision in March had "intensified" since then. "Recent communications from the RBNZ highlight its growing discomfort with the continued pick-up in housing market activity and housing credit growth. However, the continued strength in the NZD in recent weeks presents further headwinds for the tradable sector, as well as having a dampening effect on tradable inflation," they say. 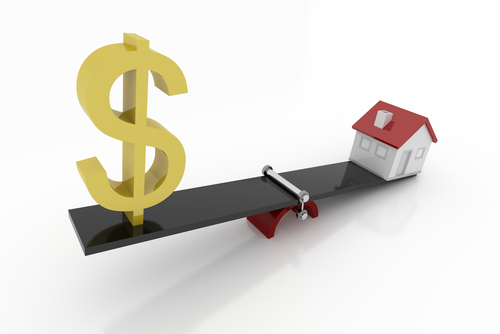 Westpac chief economist Dominick Stephens describes the RBNZ's current position between the dollar and the housing market as being "uncomfortably perched on the fence". "In the March Monetary Policy Statement the RBNZ noted that if the exchange rate were to stay high and continue to suppress inflation, OCR cuts might be on the agenda. But last week Deputy Governor Grant Spencer said in a speech that if the housing market were to stay strong and provoke consumer spending, the OCR may have to go up early. There is no contradiction between these two statements. They simply reflect the fact that the central bank faces two diametrically opposed risks," Stephens says. "At next week’s OCR review, we expect the RBNZ will remain perched on the fence, but will express its increasing discomfort with the risks on either side." Stephens says it would be no surprise if the governor repeats the same statement again verbatim next week. "That said, the Reserve Bank’s summary of the outlook will have to be updated to reflect the fact that if anything, the economic dichotomy has become starker." He says the central bank may back up a little on its March comment that global “risks have receded”, following the bailout crisis in Cyprus. Also, wording around the local economy will have to become more "bullish". "GDP growth in the December quarter was much stronger than the RBNZ expected, and recent survey data suggest that the buoyancy has rolled on into the new year. "The link between rising house prices and consumer spending may be singled out for special mention. Private consumption expenditure grew 1.4% in the December quarter, possibly signalling a return to our borrow-and-spend ways of last decade." Stephens says the RBNZ will mention both the drought, which will hit agricultural production hard, and the recent 66% increase in dairy export prices that will soften the blow. "As always, the RBNZ will rail against the high exchange rate. Given that the Trade Weighted Index has risen to a new all-time high, the RBNZ might even invoke language associated with exchange rate intervention, such as labelling the New Zealand dollar 'unjustified' and 'exceptional' (these are two of the RBNZ’s four criteria for intervention)." Stephens says if the OCR turns out the way "along the lines we are suggesting" then nobody will be surprised and the markets will not react. "Even so, the nature of the dichotomous risks facing the RBNZ means there is scope for markets to move if the RBNZ unexpectedly emphasises the risks on one side more than the other." Deutsche Bank chief economist Darren Gibbs says the "main interest" will be to see whether the upside and downside risks cited by the RBNZ in March have changed enough to cause the RBNZ to signal a significant change in that stance. "...We think that the statement will read a little more upbeat than the policy assessment issued with the March MPS (produced overleaf), with the Bank likely to acknowledge recent stronger domestic activity and confidence indicators. We also expect that the statement will strongly reinforce the Bank’s concerns about stability and inflation risks associated with the rebound in house prices, especially in Auckland." But Gibbs says the RBNZ will likely note the present benign inflation environment, reflected in the first quarter inflation figures and future challenges posed by the recent drought (notwithstanding recent rains and firmer spot dairy prices), sustained fiscal consolidation and the appreciation of the exchange rate. "On balance we expect the RBNZ will share our view it will likely be well into 2014 before the economy is generating sufficient sustained upward pressure on prices to drive annual inflation towards the mid-point of the inflation target range (let alone the top of that range). Therefore, we expect the RBNZ will again note expectations that the OCR will likely remain at its present level for the balance of this year, whilst acknowledging both upside and downside risks to inflation that could alter that outlook." Gibbs says following next week's OCR announcement attention will turn to the release of the RBNZ’s Financial Stability Report on May 8. The news conference accompanying this is very likely to discuss the RBNZ’s concerns about the housing market in some detail, he says. "The market will be looking to see, in particular, whether the RBNZ is any closer to implementing macro-prudential instruments that might at least temporarily dampen activity in the housing market. Whilst such instruments would be implemented primarily due to prudential concerns, they would likely delay the need for conventional policy tightening to address broader inflation concerns." MortgageBelt , you have to appreciate the U.S. for starters had a sub prime collapse, so housing has not found any legs or confidence to stand on irrespective of ocr.......we, N.Z. were lending at 90 to 100 % not that long ago, you would do remarkably well to find that kind of lending from the examples you have given. The irrresponsible lending policy of the banking fraternity at large has been, and continues to be the ..major...driver in the Property Market.....leaving those institutions exposed to market corrections or even minor shifts in Market appetite. They the Banks, have little choice but to continue now as it is their equity they are also fueling.....not underwriting in the truer sense instead being backed by speculative value. The demand is not that strong in Auckland, but supply is very very tight. The reason of a verty tight supply is because no builders bult since GFC. No Builders built because many financy companies closed. So the construction will strat up if goverment can guarantee the money invested in finance companies. Outside of upper-middle class housing in Auckland, prices are pretty flat. Where is the 'inflation' in non-housing? Nowhere. Why should home owners in NZ pay twice the price of money cf to the rest of the developed world? Why smother the general economy with high relative interest rates? Higher interest rates = house price correction = lower interest rates = restore house prices again. Either way ..... interest rates must fall. Mortgagebelt, kimy. If you guys are stretched with where rates are these days.... the problem you have may not be macro. You could always defer some of your scheduled capital repayments, or push back to next year some of your preventative maintenance. No stretching in this household. The last few years have been great with declining interest rates & rising income. However, the current mantra that "interest rates are at a historic low" etc etc are pretty misleading when NZ is paying relatively very high interest rates compared to every other developed country bar Australia. This has a depressing effect on all SMEs who borrow at high rates - it's not just affecting property investors. Watch the effect on the NZ economy if the RBNZ is ignorant enough to try to raise interest rates given the global environment. Interest rates will be declining in NZ & Australia over the next 3 to 4 years. There is no other alternative. But in real terms, interest rates could be very very high even at %2 , inflation minus 3 or -5, housing minus %25. Its not all RBNZ. We don't see bank interest income or interest margins coming back. These credit providers are driving/influencing asset prices. The disintermediation of the last 30 yrs has turned banks into more utility types. Managing flows only. Hence portfolios regulated sort via basel ll etc. All since bretton woods. Henry T - I think it was a serious mistake for land values to be excluded from the CPI in the late 1990's. If land values had remained in the CPI then the inflation in land prices would have been captured during the 2002 - 2007 house price boom and interest rates would have been adjusted accordingly. Off-share investors get the lift from the land price inflating and the tax advantages from tax treaties. NZ citizens and residents got the Capital gain from the inflation in land prices. Neither of these two factors have changed so the housing will drive considerably higher as the demand and supply is also out of whack. The RBNZ is in a catch 22. The economy is far to controlled in the wrong areas and far to loose in areas where it should be tighter. But that's Politicians and Bureaucrats for you. I hear what you are saying Kimy! Big Government debt needs inflation so they have got what they wanted and it is below the radar - mind you the game was well advanced by the previous Labour led Government. I'm just about to do a couple of transactions and would prefer stabiity of direction. There have been changes to the way GDP/GNP, unemployment and inflation have been measured in recent decades, deliberating fogging any meaningful comparison over the last 30-40 years. A welcome addition to the economic debate would be someone like interest.co.nz recalculating recent figures to the methodology that existed prior to 1984, perhaps the mid 60's to capture the effects of Britain entering the EEC, Muldoon's tenure, Rogernomics, Richardson, Cullen etc and the actions of the respective RB governors. Double post - Well it looks like there are gremlims in the system. DP - gremlins on the loose. The demand for housing in Auckland which is driving up house prices is exacerbated by new immigrants often buying with cash . We need a review of the immigration policy , ESPECIALLY this rort where Chinese migrants buy a coffee shop or hair salon to get residence as " investors "
and there is probably very little excess demand even in Auckland. Where are the hordes living under motorway bridges? Plenty of tenants who are would-be owners. Stop the immigration until the balance is restored! It is a 'fence' of their own making...how many remember Spencer's own plea to the banks back when the scam began to unfold..."keep the game going"...that is what he said. Something from 'left field' will kick the fence over...you can bet on that and win. It was a waste of time and effort to suggest back then that the govt had to shift the economy toward a savings based structure and away from the credit farce...they were not interested...they did what the banks told them to do...and now the economic property farce that is the NZ economy is heading for a showdown...many will be hurt...many more destroyed. But the banker bosses pollies and others of that ilk will come out smelling of roses....and loaded with wealth. The answer to the problem is obvious. Once the Shearer/ Norman paradigm is in play it is amazing how it can be applied to nearly everything. The Government will be happy. The RBNZ along with English have been painted their way into the corner, while any amount of people here could see... it coming...coming..coming ...here we are..! The problems that arise intentionally or not, when the Policies( of the RBNZ) are distorted to fit the Agenda of Privatisation with all it's welcome and unwelcome trappings. What have monetary policy and RBNZ interest rate policy got to do with privatisation? I certainly see the RBNZ's user freindly neutrality (?) over these past years to be conducive to Foreign Capital investment , providing fertile ground for foreign capital and the like to be poised for privatisation and the opportunities it presents. why , what horses is it you think they don't want to scare ..? the local ones..? I guess the increase in the value of NZD has been a positive for foreigners who invested here several years ago but we have not had any privatisations for years. I would have thought the last thing this government wants if it is trying to flog assets to offshore buyers is an over valued exchange rate. It means the assets are more expensive and there must be a greater currency risk as well. When you say friendly neutral do you mean they have kept rates too high or too low or just not moved them at all? I'm just in the process of digesting the following Waipouri......I might just learn something, looks really comprehensive on first skim over...so I think worth the read. Thanks for that. It is written in fairly straight forward language but I will need to finish it another day. It does seem quite valuable and I think it says everything that is done by the monetary authorities and government has consequences and they are often not the ones expected. Wally you missed the best from Mitch, starts two min in Audio only so should work on NZ internet. Rather than look at ways to encourage young families to stay, the main one being improving the afore mentioned property price to income ratio, both Labour and National want to support a financial bubble and the banks who blow it with immigrants. As Wolly's link to the Dutch situation shows this is ultimately futile. Clarke, Cullen, Key, English, Bollard are all equally guilty of the same folly.